A song written using a heptatonic mode of 88cET: a non octave scale based on the division of a perfect fifth (3/2) in 8 steps of 88 cents each. This scale has a pseudo octave 1228 cents wide. The seven steps of the scale have been mapped to the seven white keys of my master keyboard. The only sound source is Cameleon 5000 by Camel Audio. read what X.J.Scott had to say about it and what Shaahin Mohajeri said! this song has also been presented by Hans Straub, here, as an example of composition in 88cET. I thoroughly enjoyed listening to that piece. I don't understand the technicalities of the scaling, but don't feel I need to to appreciate the beauty of its feel. It was very haunting, cathedral like, cavernous in its feel. It quite reminded me of videos I have seen of deep caves with massive formations of stalagmites and stalactites of various minerals under intense colored lighting. Probably not the feedback you were expecting. Just my take on the experience. Thank you for sharing this piece with us. Very nice Seraph. I liked the way your back ground was sort of rhythmic with the occasional touch of a deeper bass. Lots of eastern influence in there, great stuff. Looking forward to it ! I read up on some of that microtonal stuff. Quite interesting... How do you like LMSO ? 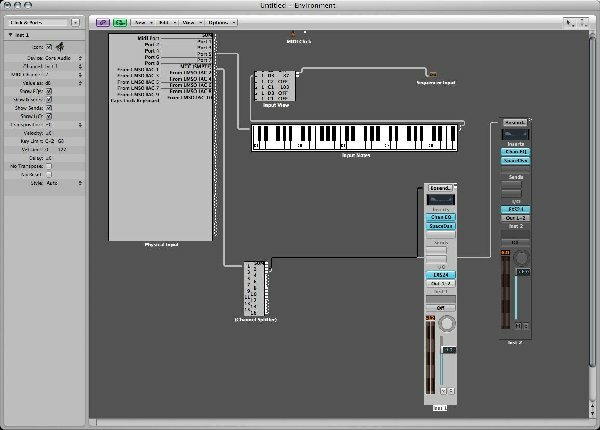 I would be interested in picking up a program like this if it was flexible with many interfaces or synths. I noticed on their site the synth list wasn't that extensive. -think I'd probably prefer something which would integrate with logic as an audio unit if that would be possible. How do you like LMSO ? 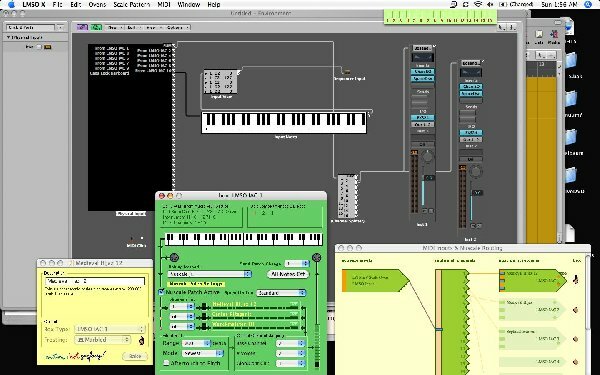 I would be interested in picking up a program like this if it was flexible with many interfaces or synths. I love LMSO it works flawlessly with Logic Pro (that btw has microtonal capabilities by itself but limited to 12 notes per octave). I'll post some pictures that show the data flow between the 2 applications. That is awesome ! Ok I understand the setup for routing from your port for keyboard controller or caps lock keyboard to input notes, but why do you take the IAC1 LMSO channel & split it to channel strips numbers one & two ? Is this the way you route it for stereo input ? Please excuse my newbie questions. I've only been using logic for a short time. why do you take the IAC1 LMSO channel & split it to channel strips numbers one & two ? 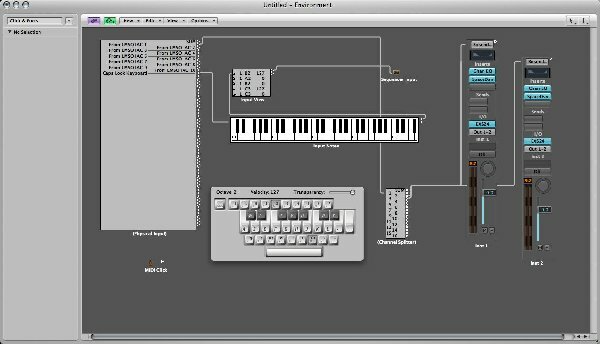 LMSO is able to retune hardware and software synths without microtonal capabilities thru pitch bend that is a global data for midi channel. so, in order to independently retune 2 simultaneous notes they each have to be on a different midi channel. The green box called LMSO IAC1 is set for 2 notes polyphony (# Voices). the base channel is #2 so notes will be on channel 2 and 3. Look now at the channel splitter. It receives notes from LMSO IAC1 and sends notes on channel 2 to an EXS24 instance and those on channel 3 to the other instance of this sampler. Each sampler has to be monophonic and the pitch bend range MUST match on both the sending application (LMSO) and the receiving one (EXS24). Ok I got it now. Split with 1 voice per channel to a monophonic sampler.-That's a good way to utilize the exs24. I never use mine which is kind of a shame cause I'm usually on the mach5-2. Great stuff Seraph, thanks again for sharing that info.